Recent leakages strongly indicated that we will see new Ryzen desktop processors and APUs for notebooks at CES 2019, but it may also be that new Radeon graphics will receive a bonus bonanza to launch a new one Radeon graphics card, which may just be the introduction of 7 nm Vega II GPUs. AMD has previously stated that it will next introduce a 7nm graphics architecture, and the company has done so with its Radeon Instinct GPU on the enterprise market. 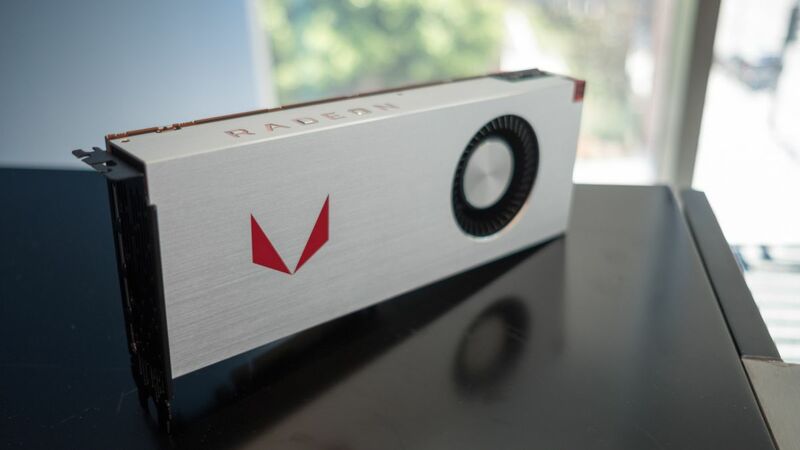 We've recently seen AMD carry a new Vega II logo – though AMD could easily do this Drag a quick and introduce another generation of Polaris graphics cards. 7nm desktops seem to be certain as AMD is on the way to introduce 7nm processors to second-generation 12nm Ryzen chips. It also helps build a leak recently, and the entire Ryzen 3rd generation will begin with quad-core entry-level processors leading to some of the first mainstream 16-core CPUs. An upcoming Picasso series of APUs assembling AMD's 12 nm processors Even processors with a new generation of Vega graphics cards in discrete classes seem anything but safe. These new chips are expected to support a new generation of laptops, including the next generation Surface laptop, as well as a streaming iteration of the next Xbox. Whether these rumors are true or not, we definitely know that AMD will have an action-packed CES 2019, you can bet we're there to tell you everything you need to know.